It might be the scariest, wearable smart clothing ever designed, but one thing for sure, Intel Corporation (NASDAQ:INTC) is taking fashion and technology to another new level. The Smart Spider Dress, an innovation between Intel Corporation (NASDAQ:INTC) and experimental designer Anouk Wipprecht, continues to take the fashion and the tech industry by storm. Speaking on Fox Business Kurt Knutsson, said the dress is a great way of inspiring another form of reality by showing how technology and fashion can be seamlessly integrated. Intel Corporation (NASDAQ:INTC)’s new dress can move, reacting to real-time biometrics based on the wearer’s heartbeat, which can be triggered by emotions and desires. The dress translates to animatronic spider legs that are driven by sensors that adapt to the user’s emotions and desires while being able to differentiate between 12 states of behavior as well as sensing up to 23-feet around one’s body. The dress previously used external sensors and storage but has since reverted to Intel Corporation (NASDAQ:INTC)’s Edison as it is small enough to be embedded so that it can learn the wearer while on the go. The application of the dress is still unclear although it could be an interesting addition to some movies. On the other hand, in the real world it could be used to monitor user’s health status while alerting one of the vital signs reaching dangerous levels. 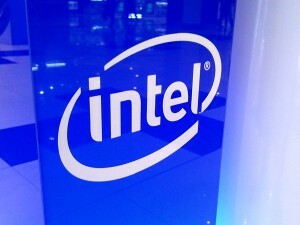 Why Apple Inc. (AAPL) – Intel Corporation (INTC) Modem Chip Deal Does... Intel Corporation (INTC) Needs A Change Of Strategy To Data Centers And Cloud... Why Intel Corporation (INTC) Became Worst Performer in Dow Index For The Week... It’s Time to Ditch Intel Corporation (INTC) Intel Corporation (INTC) PC Business Hit Hard By Declining Demand And Strong... Why Did Intel Corporation (INTC) Cut Guidance For First Quarter Revenues?